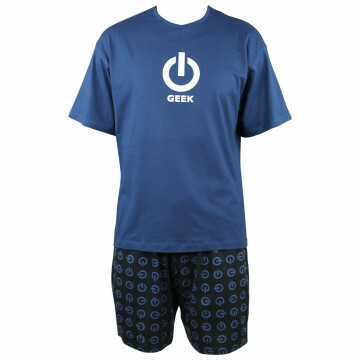 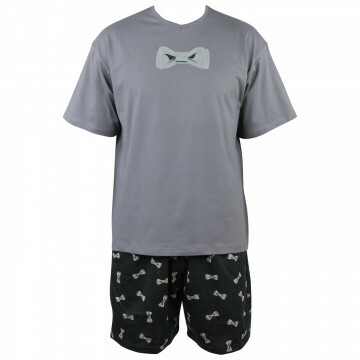 Noeud Papillon design short cotton pyjamas The anthracite T-shirt has a flock bow tie motif and short sleeves, V neck with excellent interior finish with a pattern of little bow ties and Achile logo. The shorts are black and have an anthracite grey bow tie print. 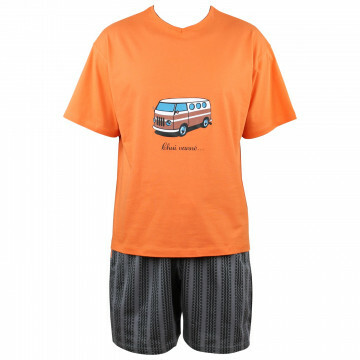 The elasticated waist has an adjustable drawstring cord which, along with the openings of the 2 side pockets, are grey, echoing the T-shirt.